Too early to comment? Undoubtedly, yes. But still, it happened, and as an act of urban terror, a bombing has a chilling effect. 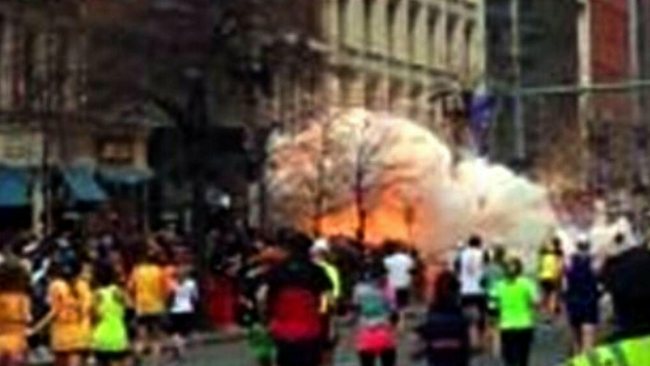 The two (maybe even three) bombs exploded today in Boston, Massachusetts, will have a permanent effect on the American people. Sadly, three people have died – then again, thankfully, only three people have died. Dozens more have been badly wounded, and probably many will have lost limbs, or even eyes etc. The aftermath of bombs is never pretty. The scars will last forever. President Obama promised that the perpetrators will be brought to justice. 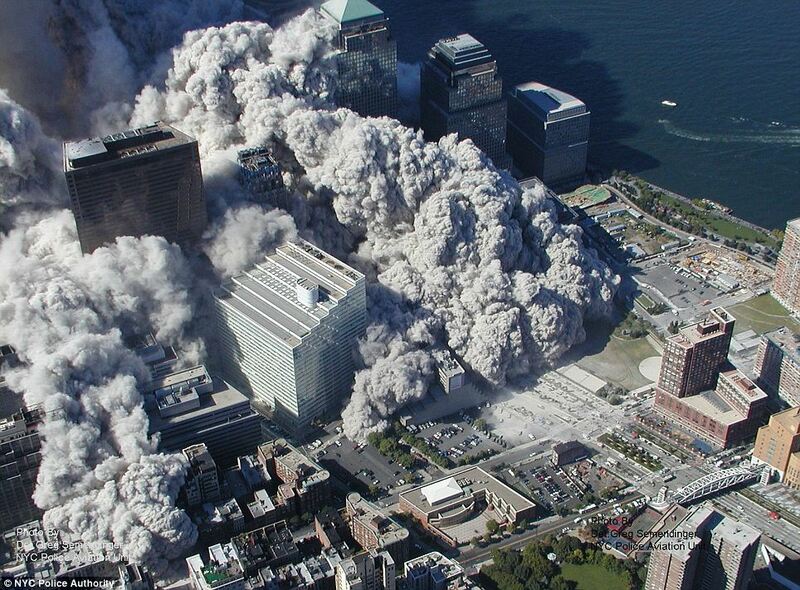 It’s been a dozen years since the horrors of the Twin Trade Towers. You won’t remember what you were doing on the morning of the Boston bombing, as the memory will fade away, but the Trade Tower terrorist attacks will never fade from anyone’s memory. I was at home in my flat on Mt Victoria when my flatmate burst into my room, telling me that the World Trade Tower had fallen down. Having been up there a few years before, I thought that highly unlikely, but scratched on some clothes and proceeded to turn on the radio. The airwaves were full. After a few minutes, I thought – I wonder if there is any TV footage? You know the rest – the world was watching. And apart from a small, idioticly misguided few who still believe it was the work of the US Government, and the even smaller few who now seem to believe that it was all faked, “just like the Moon landings,” the Trade Towers will haunt us for years yet to come. Yet the same cant be said for the Boston bombings. A satchel full of nails and ball bearings does not sound like the work of Al Quaeda to me, but more the attempts of a domestic terrorist. Despite the reports of some people at the scene of today’s marathon slaughter, thee bombs were not big bombs – truth be told, they were tiddlers. They puffed white smoke and hardly blew over a thing. No buildings collapsed, just glass shattered to the street. Remember the Oklahoma City bombing? Now that was a truly massive bomb, with Timothy McVeigh found guilty and executed for his crime. 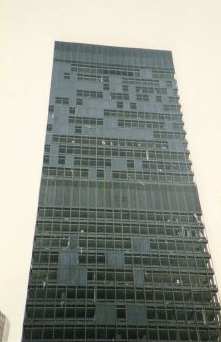 Hundreds were killed – the bomb ripped the city administration building into shreds for many floors up. No foreigners were involved – just genuine All-American efforts there. Wellington is of course lucky that we don’t suffer from such horribleness. We have, in the past, and the Trades Hall bombing in Vivian Street many years ago, killing Ernie Abbott, is still our worst domestic terrorist attack (the French terrorists, Dominique and Alain, were of course the cause of our more well known attack). The names are still fresh enough in my mind that I have not yet had to consult the wondrous invention of Larry and Serge. And while we are there, we should still remember Neil Roberts, lonely computer geek / punk person, who blew himself up on the doorstep of the Wanganui Computer Centre (which, if I remember right, was not actually in Wanganui, nor even in Whanganui, now I come to think about it). And I don’t think that anyone ever figured out quite what Roberts was self-imploding over. Maybe there is a book about it. But if there is, I haven’t read it yet. 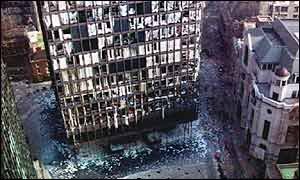 Bombs were a regular feature of living in London in the 80s and 90s, courtesy of the IRA mostly – ironically, who were heavily funded by Boston-based “Irish support” groups. Indeed, the use of the bombing campaigns by the IRA sort of took the gloss off my time abroad – they blew up the local pub in Covent Garden, that I had been going to meet a friend in a few days later. The Sussex Arms. Two dead. Smashed to smithereens, closed for reconstruction for a year or more. They blew up part of Canary Wharf when I was there too, destroying a perfectly good but exceedingly ugly mirror-glass Post Modern mock-Tudor office block. Just one dead? Warnings had been received. 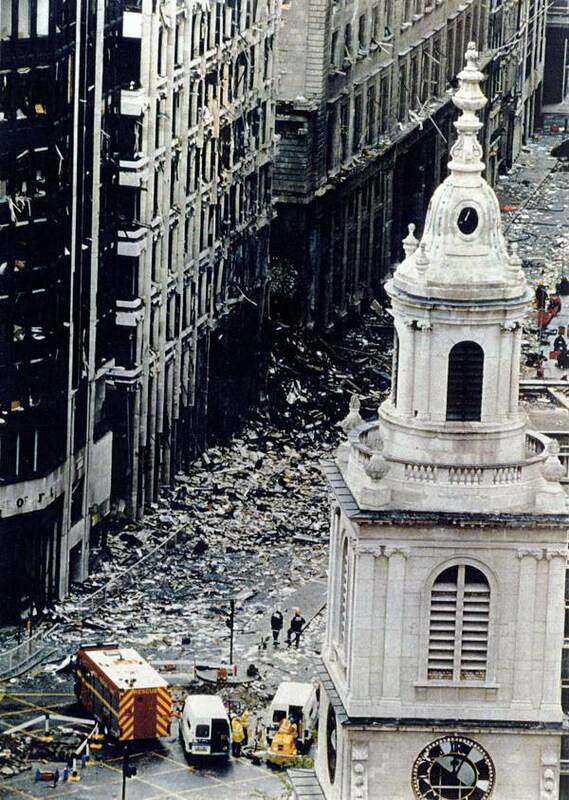 The Stock Exchange was bombed in London in 1990, providing much work for architects for the following decade, as well as for many Irish labourers. Massive amounts of damage. Another massive bomb in the city, the Bishopsgate bomb, took out half the buildings in the Square Mile, with millions of windows having to be replaced, three people dead, a repair bill of over 800 billion pounds, and one newly completed building (a fellow architect, Helen, had just completed the job a week or two before) being physically shunted sideways about three foot by the blast and thence having to be reconstructed right back to floor level, just like in Christchurch. They asked Helen if she would like to be the site architect again, and rebuild it exactly how it was. She declined, reasoning that life is too short to build the same building twice. She was right. The Bishopsgate bomb, which almost closed down the City for good, ironically did create the opportunity for something good to come out of the whole twisted mess. 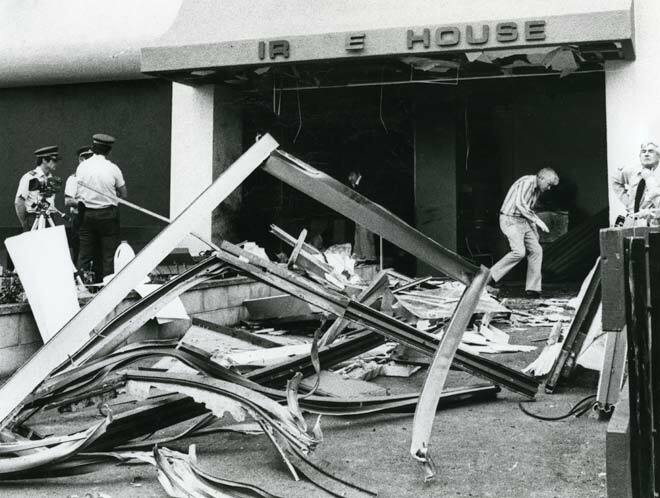 Firstly, the Insurance companies took notice, and said to the British politicians to “sort this mess out with the Irish.” They rebuilt the city, in less time than it has taken for them not to act in Christchurch. And secondly, of course, with the destruction of the grade One listed heritage building of the Baltic Exchange, there was room for the Gherkin to grow. But that’s another story. Right now, of course, the world’s eyes are in Boston. Which is a pity really, as just a few pages into today’s Dominion Post, was a story about a bomb in Afghanistan, where about a dozen people died. Page 5 or page 7 – low down in the pecking order. No video of the bombs going off. No world breaking news footage. By nightfall, I can’t even find it on the Stuff website. It’s a far bigger, more deadly bombing than in Boston. But it is not Boston. Updated: with animation of explosion going off at Waco – approx equivalent to a 1-kilotonne nuclear bomb, apparently. All of the explosion part occurred in less than 1 second. Contrast that with the bomb in Boston, where people are still upright and running in the photo of the bomb going off. All I can say is: thank God that the two disaffected youths that made that bomb did not know about how to make a fertilizer bomb! What was interesting in searching for images on this post, was the lack of them. Yes, I know that it was pre-the-Internet and therefore not much online, but also – was this an effort at media control? Streets were closed off overnight – I could not find a single photo of the Stock Exchange bombing, despite it causing 100 million quid worth of damage. Certainly that was one of Maggie Thatcher’s beliefs: starve the bombers of oxygen. Give them no publicity. Go on, pretending that this did not happen. Difficult to do that in our modern, media-filled world. The Wanganui Computer, at that time, was actually in Wanganui, hence its name. The fashion of the day was to promote regional development by pepper-potting the ancillary services of government departments in regional cities, It was only later that the “computer” was moved to Wellington, and then eventually disestablished. Thanks greenwelly, for the correction. I’m under attack from Spam at present – 148 spam in the last 5 minutes, all directed towards the post called Spooks. Which was all about electronic surveillance. Of course, the really frightening explosion is the latest from Waco, in a fertilizer factory overnight. 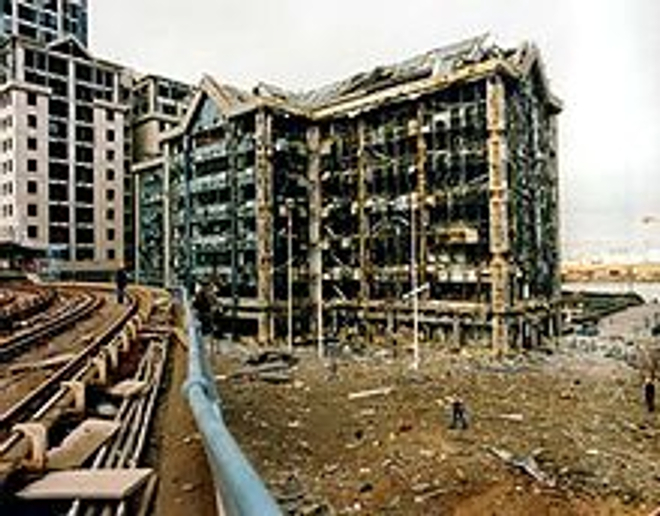 It should be noted that the IRA used fertilizer bombs in London when I was living there (over a dozen bombings in 1992 alone) and that the Bishopsgate bomb was a fertilizer bomb – the biggest ever detonated in England – hence the massive damage to buildings. Watch the video at Waco of the factory going off, and imagine that happening in a built up city. Welcome back 60, I thought I’d lost you. Yes, you’re right – that comes back to me now. NZ’s version of deep thinking. It’s a bloody good saying really – and he’d be deeply saddened by the moves we have made since then. Bit by bit our freedoms are being whittled away – electronic overlords watching our every move. Cell-phones, swipe cards, eftpos, all leaving a trail of electronic debris. Far, far, far more telling than the Wanganui computer ever was. 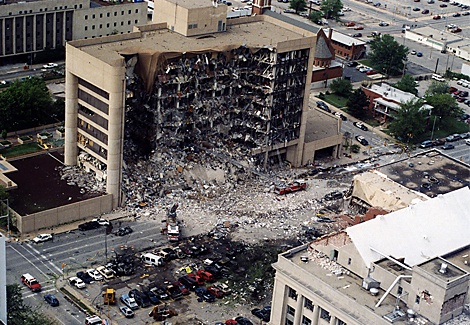 The oklahoma city building (which was a federal building fyi, not city), was a fertilizer bomb. minimus – you’re right – the force of those things is just incredible. The concrete in Oklahoma federal building (Alfred P Murrah?) has just been turned almost into dust, in a millisecond. Quite extraordinary. I’ve just posted up an animation of the Waco explosion, which I’m also finding amazing. There’s a big old tree in the left foreground, and in less than the blink of an eye, the fireball is many times larger than the tree. About a second later, the tree probably doesn’t exist at all. 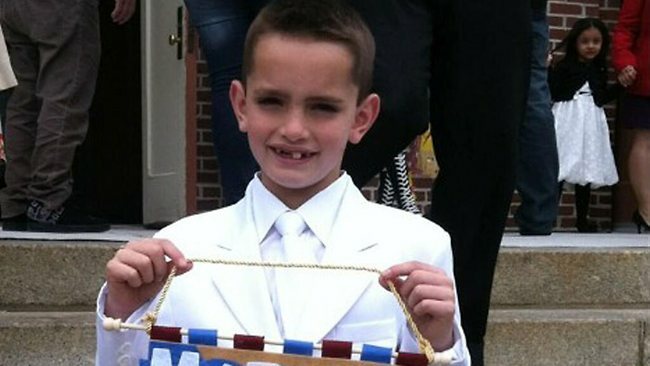 What is even sadder than all of this however, is that the right-wing-fundamentalist-christian nutters are already making up stories about both the Boston bombers and the Waco explosion. Despite Dzhokhar Tsarnaev being captured, and Tamerlan Tsarnaev being killed, some fuckwit called Glenn Beck is saying it was all a government inside job and blaming it on Obama – seriously! – and in Waco, a nutty bible-banging idiot has “proved” that the government fired a missile into the fertilizer works in order to make the fireball. I truly despair for that country with people like that still roaming free.